Time to edit the power button options of your android to have advanced options in it. Here we will discuss how to change Power button default options in Android. 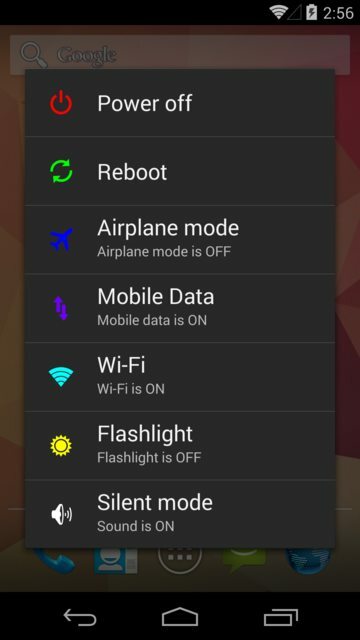 In android when you long press the power button then you generally have 3-4 options that are the reboot, power off and some other option like the change of profile etc. But if you are an advanced user like if you have rooted your android then you must know the need of boot in recovery or boot in download mode, and this feature can be added to the power button option and with that you can easily switch to this option directly by long pressing your power button and then selecting these options. So have a look on complete guide discussed below to proceed. The method is quite simple and just need a rooted android device that will allow a Xposed installer to run on a device. And after having the Xposed installer you will be using a Xposed module to change the default options of the power options of your android device. For this follow the guide below. Step 1.First of all, you need a rooted android as Xposed installer can only be installed on a rooted android, so Root your android to proceed for having super user access on your android. Step 2.After rooting your android device you have to install the Xposed installer on your android and that’s quite the lengthy process and for that, you can proceed with our Guide to Install Xposed Installer On Android. Step 3.Now after having the Xposed framework on your android the only thing you need is the Xposed module Advanced Power Menuthe app that will allow you to edit the power options. Enable this app in the Xposed installer to make this app change system settings and files. Step 4.Now launch the app and now you will see lots of options like Anti-theft options and much more like having fake power button options for thieves edit and that too according to your wish. Step 5.You can now even edit the Details of reboot option to have some extra reboot option like the soft reboot, bootloader etc and many more things that can be changed using this cool app.